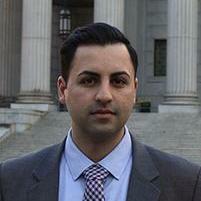 Attorney at Mekhtiyev Law Firm, P.C., admitted to practice in New York and New Jersey. Law offices are located in Midtown Manhattan and Brooklyn. Areas of practice include general litigation, real estate law and corporate law. We are committed to helping our clients. Fluent in Russian and Hebrew. Sergey Mekhtiyev does not have any reviews yet. Mekhtiyev Law firm is a New York City-based law firm with a focus on general litigation, real estate law, business law and matrimonial law. Attorney at Mekhtiyev Law Firm, P.C. located in the heart of Manhattan. Areas of practice include litigation, matrimonial law, real estate law and corporate law. Attorney specializing in corporate law, employment law and general practice. Drafted correspondences and memoranda of law. Conducted research on various legal topics. Filed documents in various courts in the New York area. Attended conferences, court appearances, and sentencings. Interviewed, counseled, and represented clients under licensed attorney supervision. Drafted and executed estate planning documents. Worked on estate probate process. Conducted court appointed guardianship reviews. Worked in office and in New York City Courts on cases taken by the Firm. Ultra Events is New York City based marketing company found in 2004. The company specializes in marketing, event promotion and coordination as well as brand management.